Personalized Service, Local Knowledge & Fast Results. As a 37 year resident of Langley, living in Walnut Grove, Dave is not only your area specialist but also your neighbour. 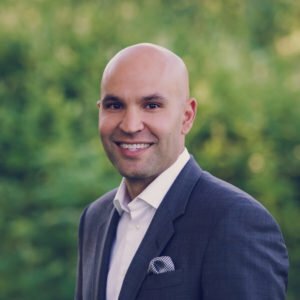 His keen interest in architecture and sales, combined with his passion for the Langley community, led him to the perfect fit as Langley’s Real Estate Agent. Dave views the home as an extension of a person; he loves meeting new people and learning their life stories through their homes. Dave’s keen interest in providing above-and-beyond service to all of our clients stems from his enthusiasm for guiding people through one of the biggest transitional periods in their lives; buying and selling their home. From start to finish, Dave is with you every step of the way, consistently delivering exceptional results, assisting our clients to find the perfect home that will help to support them in the next chapter in life. Dave has an unwavering work ethic, great attention to detail and is highly committed to providing smooth, stress-free transactions. His extensive knowledge of the Real Estate Market combined with his dedication to each of our clients has placed him in the Top 1% of all Realtors in the Fraser Valley, year after year. In his free time, Dave enjoys spending time with his wife, daughter, family, and friends! He has two French bulldogs, Bentley and Frenchie who are always at his side as well. His greatest passion besides Real Estate is sports. On his days off, you can find him on the golf course, in the hockey arena, on the ball diamond, or anywhere that allows for his competitive side to come out. Experts in the Fraser Valley Real Estate market, Robles Real Estate Group is led by the shared goal to produce optimum results by consistently applying innovative marketing strategies, proven negotiating skills, and more than 30 years of experience to each and every transaction. Our dynamic team takes you from start to finish, handling every detail; from professional stagers, photographers, a full-time client care manager, a full-time administrative assistant and a marketing specialist, we can recommend home inspectors, home cleaners, lawyers, mortgage specialists, plumbers, electricians and more! Cohesive teamwork and a shared desire to create a stress-free, individualized and seamless experience for our clients is the integral component of the group’s strength, and the core of their successes. Sabrina’s love-affair with Langley began on a Sunday drive twelve years ago, when she stumbled upon a “For Sale” sign in front of a charming home on a picturesque street. She knew then and there that Langley was where she wanted to raise her family. She called the Remax agent right away and the rest is history! Sabrina’s diverse background includes a twenty-year career as an Award-Winning Broadcaster (including many years voicing ads for the Real Estate Teleguide Network) , investing in and running various vacation and rental properties in Canada and The USA and, most recently, working for developers selling New Home Construction In Surrey & Langley. 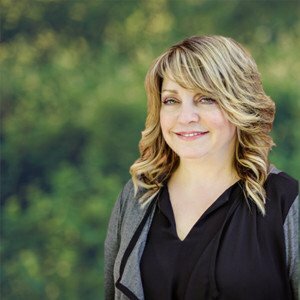 Whether you are new to the neighborhood, a long-time resident, down-sizer, investor, or first-time buyer, Sabrina would love the opportunity to walk you through the steps required to buy or sell with ease in the Fraser Valley’s fast-paced Real Estate Market. With two kids attending the Langley Fine Arts school (a dance major daughter and musician son) plus two rescue dachshunds, it’s a full house! Growing up on acreage, Stefanie loved nothing more than the freedom it gave her to explore nature, build forts, play and drink up what life had to offer. 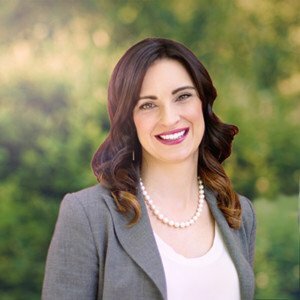 She has always felt quite strongly that life’s best moments arise out of the freedom and independence that owning a home has to offer and is excited to help you find your place to call home. For Stefanie, knowledge is power, and knowledge is what she uses in every situation to leverage the best possible results for our clients. She is passionate about empowering our clients about real estate so that they can make the best, most informed decision possible, and feel confident and at ease throughout the process. A certified Master Negotiator, Stefanie is a formidable problem solver and prides herself on creating a seamless and positive experience from start to finish. She loves helping people through transitions in their life, and looks forward to helping you find the balance of owning and home and having the freedom to build a wonderful life. In her free time, Stefanie is a scuba diver and a triathlete. She is passionate about environmental conservation, animals, hiking, camping and anything that allows for her to enjoy the outdoors and nature. For Kalmia, “home” is a word that has always been deeply rooted and widely sought after. As an introvert and homebody, she is always on the hunt for a sense of “home-ness” and connection with her community. In the Fall of 2017, Kalmia left her home in the Pemberton mountains, and she now strives to integrate some of the wonderful small town qualities to her new home and community here in Langley. While in Pemberton, Kalmia had the opportunity to wear many hats and worked as a Teen Librarian, Baker, Kitchen Manager, Chiropractic Clinic Administrator, Social Media Marketer, Graphic Designer, Web Designer, and Administrator for the Squamish Lillooet Regional District. Kalmia brings a very diverse background to Robles Real Estate Group, with experience in program and event planning, archiving, IT services, graphic and web design, marketing, and over 10 years of administrative and customer service experience. 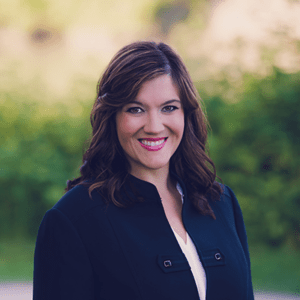 She is truly passionate about helping to create a seamless and stress-free experience when you’re selling or buying your home by preparing and managing all of your documents, and keeping the paper trail organized. Kalmia has a passion for lifelong learning, books, libraries, the great outdoors, Jiu Jitsu, animals and homesteading practices. Outside of the office, you can find her exploring the Langley trails with her husband, taste testing all of the local coffee and restaurants, and hunting for the next community project to root herself into. When Kelly’s now-grown kids were babies, her mommy time was enjoying a cup of coffee and surfing around on the Multiple Listing Service site. Kelly has always had a keen interest in Real Estate, and has both bought and renovated many homes. 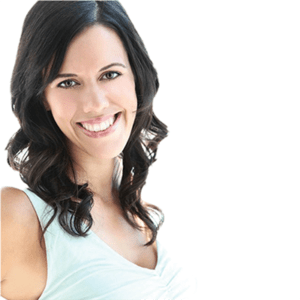 Kelly’s favourite part of this business is taking care and supporting our clients. She is infamous for telling clients to call or text her anytime even if it is 11pm at night, and she means every word of it! She recognizes that selling and buying a home is one of the biggest decisions you can make in life, and she genuinely wants to make it as seamless and stress-free as possible for everyone involved. In her spare time, Kelly and her better half enjoy playing guitar, piano and singing together, so every night is jam night in our home! She also enjoys interior design, home staging, cooking and baking, and golf! Fun Fact! Kelly was a singer in bands during the 80’s – big hair and all! She loves to entertain!